These amazing green-green tacos have just enough spice and just enough flavor punch to have your family begging for more. They call for green chilies and green salsa (salsa verde). Salsa verde is not a spicy salsa, but it is packed with flavor. The green chilies will give the chicken a teeny, tiny bit of spice…but not too much to aggravate your taste buds. Plus, the giant dollop of sour cream will balance (or cancel) out any spice that there may be. Place the chicken breasts and chicken thighs into the base of the slow cooker and add the green salsa, green chilies, ground cumin, salt and pepper on top of the chicken. Set the slow cooker on low and cook for 8 hours. Once finished cooking, shred the chicken with 2 forks and mix into the green chile sauce. 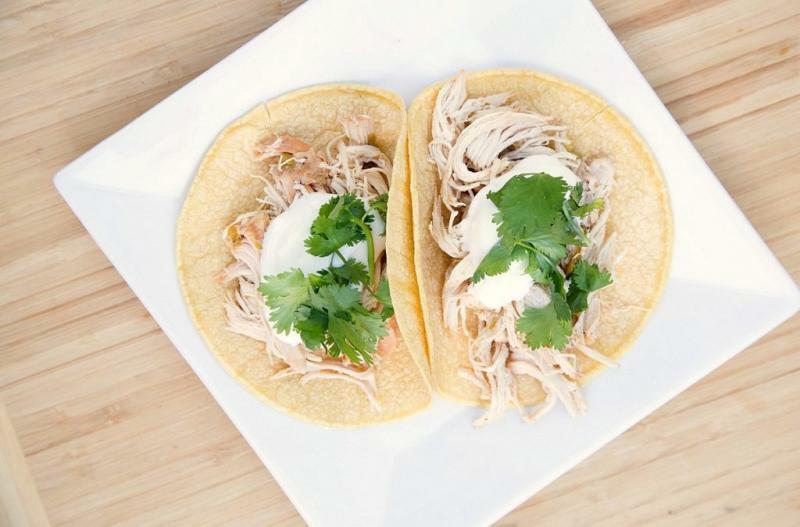 Spoon the shredded chicken into corn tortillas. 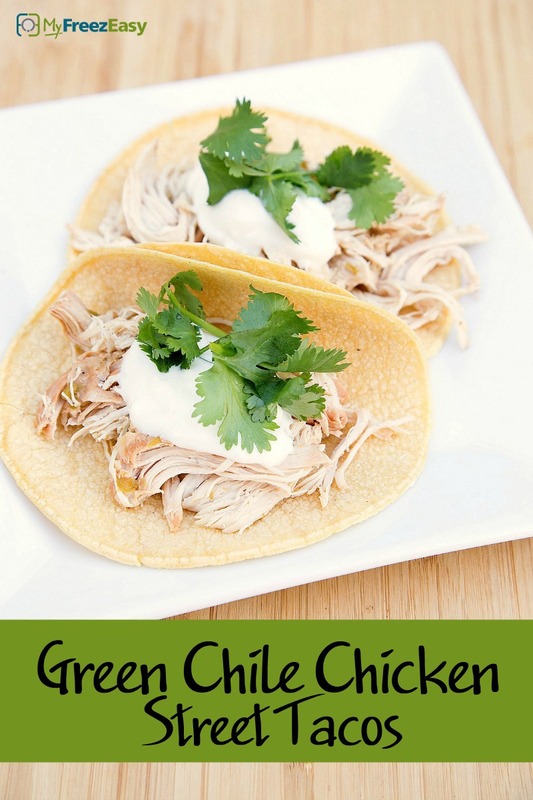 Serve Slow Cooker Green Chile Chicken Street Tacos with sour cream and cilantro garnish with veggies. Recipe is dairy-free when omit the sour cream garnish. Thaw and add contents of baggie to slow cooker. Set on low and cook for 8 hours, then shred the chicken and serve on corn tortillas with sour cream and cilantro garnish.